BLUSH-The Flea Market present to you "THE BIG CHRISTMAS BAZAAR" at Orion Mall Lakeside on DEC-21,22,23, 2018. An exclusively curated Christmas flea market that will showcase all kinds of Christmas products, handicrafts, Gifts, Chocolates, Cakes, handmade and homemade products from across the country for an indeed 'Merry Christmas'. Lets keep the Christmas spirits high..So Come! 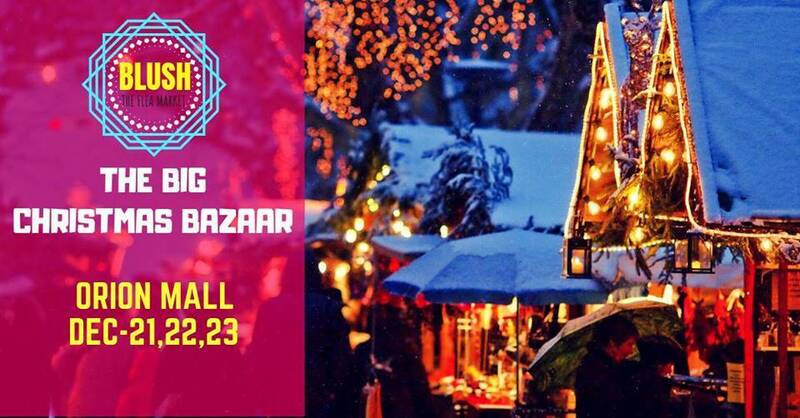 Be a part of the Biggest Christmas Bazaar happening at Orion Mall Lakeside with loads of shopping,food,fun and music over the Christmas weekend!